A gathering of family and friends will be held from 1-3 PM Saturday, April 6, 2019 at Ferguson Funeral Home, 202 E. Main St. (St. Rt. 161 W.) Plain City, where a Celebration of Life Service will begin at 3 PM Saturday with Pastor Phil Conrad officiating. A Celebration of John’s life will continue at 4 PM at Lee’s Sports and Spirit’s 209 Bigelow Ave, Plain City. John Edward Burton, age 52, of Plain City passed away Saturday, March 16, 2019 unexpectedly. Born August 28, 1966 in Columbus, Ohio to the late James and Shirley Burton. He was a member of the Class of 1985 at Fairbanks High School. John was a man of many talents including his passion for mechanics and was known for his many cool classic cars. He was a very kind and giving person who was known for his sense of humor and quick whit. 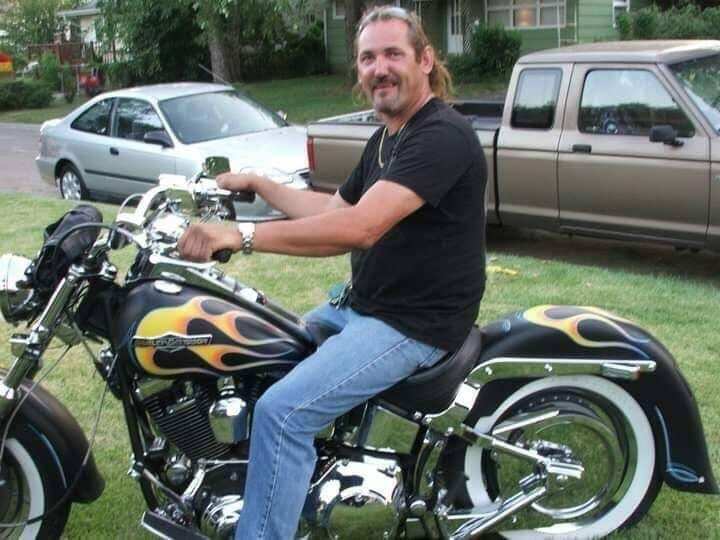 John enjoyed spending time with his friends and family, riding his Harley, and participating in Poker Run’s. Preceded in death by his father, James Elmer Burton -2008; mother, Shirley (Huebner) Burton -2016; sister, Kimberly S. Burton -1995. Survived by daughter, Jonna Burton; grandson, Colyer Wermter; siblings, Kenny Burton & Jennifer (Matt) Plummer; several nieces, nephews, aunts, cousins and many good friends.